Most residents of Ukrainian cities with a population of more than one million people consider themselves patriots and are proud that they are Ukrainians, and they make sense of independence from any state and a tribute to tradition in the celebration of Independence Day. This is evidenced by the data of the poll "Public opinion in cities with population over one million people: electoral views and moods before the Independence Day of Ukraine" conducted by the Center "Social Monitoring" and the Ukrainian Institute of Social Research named after A. Yaremenko in conjunction with the Institute for Analysis and Forecasting of Kyiv's press club. 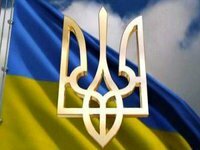 Answering the question about whether you consider yourself a patriot of Ukraine, 86% of the polled Lviv residents, 64% of Odesa citizens and 62% of Kharkiv citizens answered in the affirmative. They are proud of the fact that 85% of the residents of Lviv, 68% of respondents from Odesa and 65% of Kharkiv are citizens of Ukraine, according to the poll. Only 2% of the polled Lviv residents, 8% of respondents from Kharkiv and 10% of respondents in Odesa are not at all proud of the fact that they are Ukrainians. The best variant of the state structure for Ukraine in today's situation is considered a unitary state with a single power vertical by 80% of the polled Lviv residents and 46% residents of Odesa and Kharkiv. Some 8% of those polled in Lviv, 44% of respondents from Odesa and 28% from Kharkiv see Ukraine as the federal state, in which the regions get the opportunity to choose, which is guaranteed by the central government. Some 600 respondents in Odesa and Lviv, and 800 in Kharkiv were interviewed aged 18 and over. The survey was conducted from August 8 to August 13, 2018 by a personal interview method. The sampling error is + 4.5%.